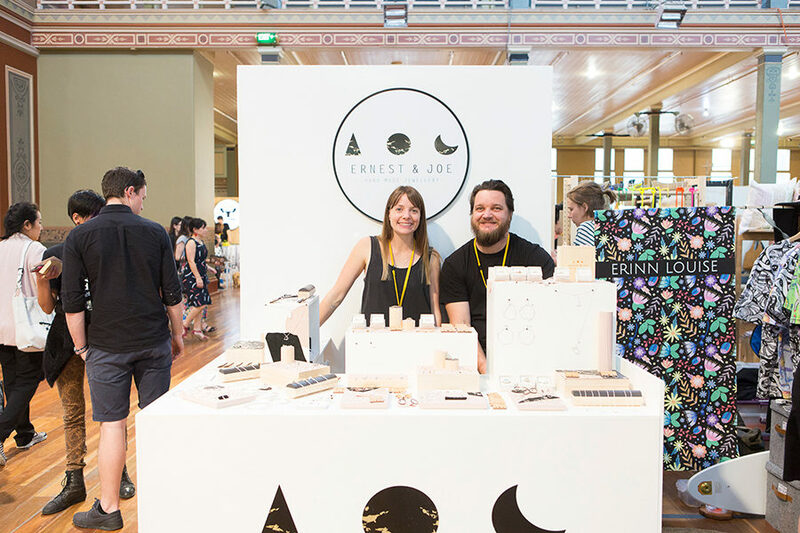 The family of makers behind Geelong jewellery label Ernest & Joe debuted at Finders Keepers in 2016 and backed it up in 2017 with a killer stall lined with shiny goodness. Mia and Luke completely embraced market life, offering a wide range of stock and plenty of education on the durability of their products & how they’re made. 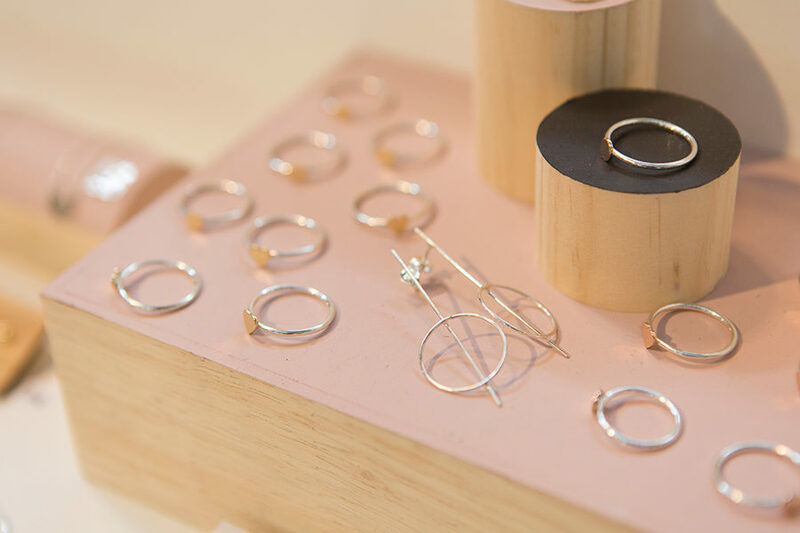 As we open Melbourne applications for AW19, we thought some gold nuggets from these jewellery gems was just what you needed to get motivated with your own application – or stall design! 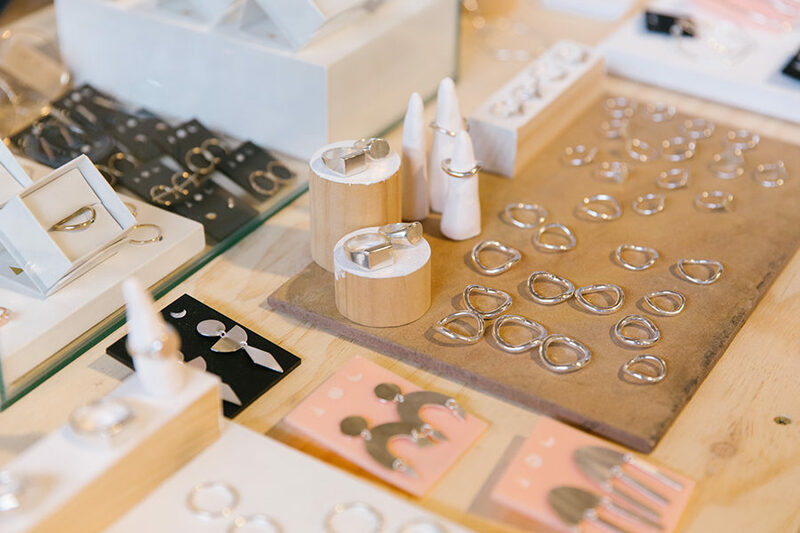 We had applied to a few Finders Keepers before we got approved, which kind of pushed us to take our business to the next level before applying again eg. professional photos, professional website. We also had to have enough confidence in ourselves and our product before we were ready to take the leap to the Big Guns of the Market scene. When we were accepted we knew that we were ready! What are your top stall design tips for making the most of debut sized space? And how has your stall set up progressed since? We used up every inch of our retail space. It took us months to design and build our debut stall. Our initial stall was on a corner so we had double visibility, almost like two spaces! We also went with a clean bright white stall which i think helped and good clear signage. Check your checklist a million times! We have been to Brisbane with no table cloths, to Melbourne with no float and to Sydney with half a box of Business cards!! You can never check too many times. It also helps to have a good ‘market’ network of people, not only are they in the same boat but having some friends to help load an extra box in their car or let you borrow their eftpos is priceless. Be ready! and take advantage of this incredible platform. treat your 1.5m space as your very own mini shop, put as much effort into your stall display as you would your product. It can make you stand out from the pack and make a big difference in your debut experience. Also be ready for wholesalers to approach you. Have your prices and information ready to go. 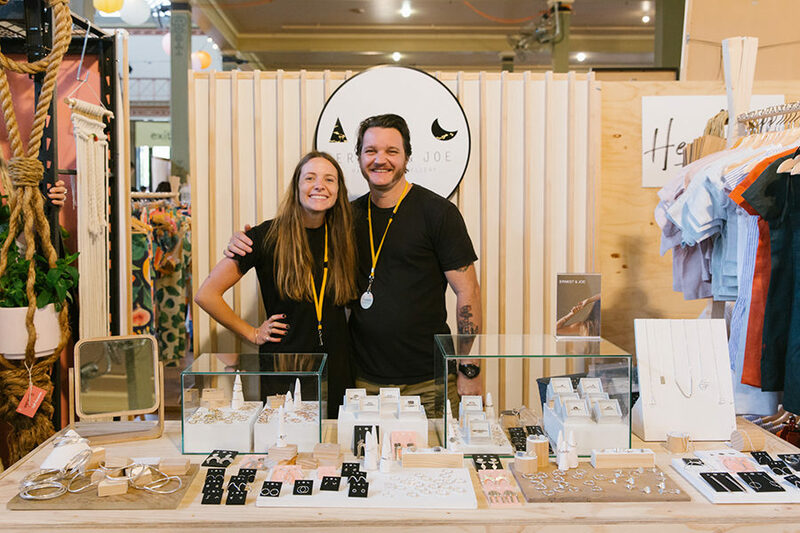 Finders Keepers has definitely helped to grow our brand. It takes you to the next level and opens you up to so many opportunities. Having done Finders Keepers for a few years now, we have made so many wonderful friends that can offer invaluable advice. 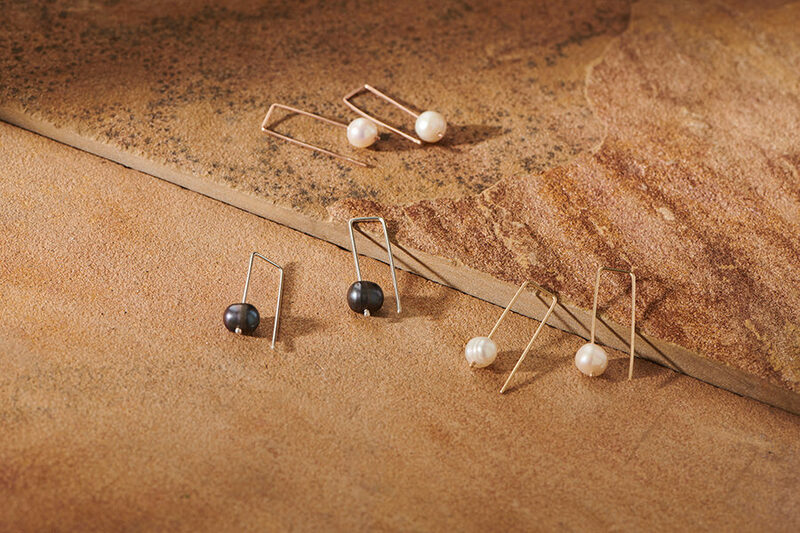 Doing these markets has also helped us to get to know our brand a little better, along with our clientele. We know who is buying our product, what product they like and where they want us to go. 2019 is looking big! 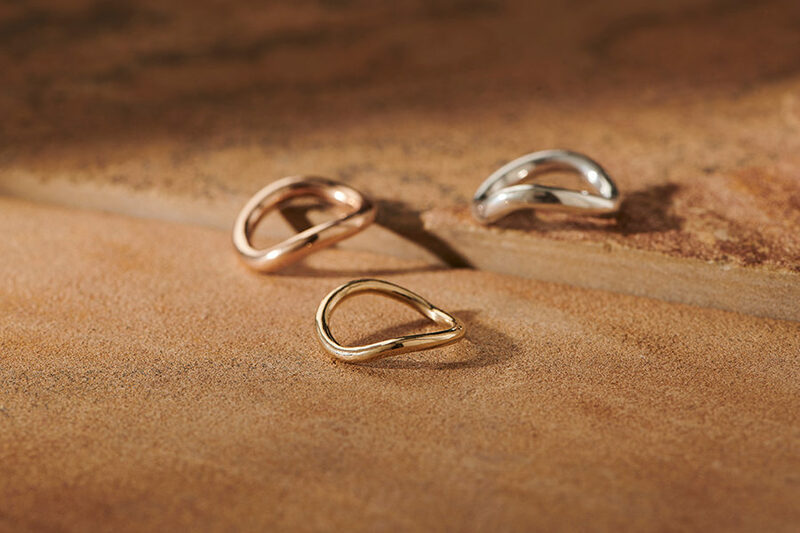 We are focusing on our new line of stone rings at the beginning of this year and also bringing back a few favourite pieces that have been missed in the past year! We will be doing our 6th Good Friday Appeal fundraiser which has raised over 25k in 5 years! 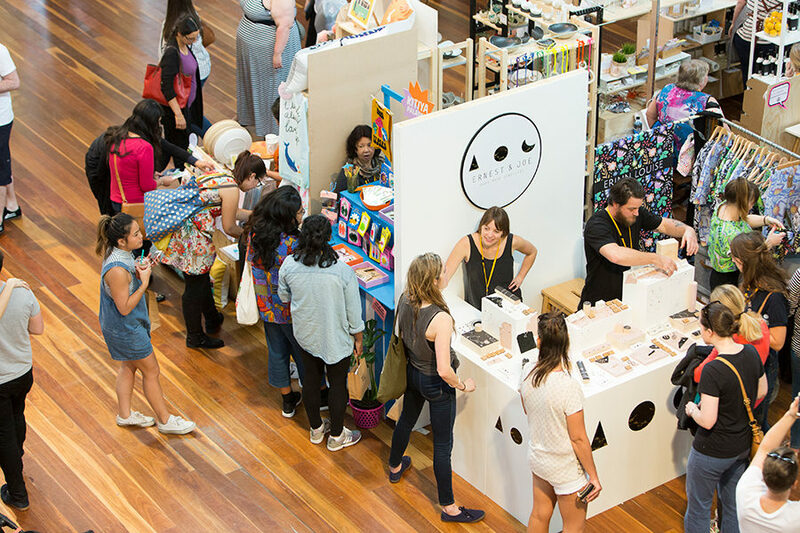 We will also be hitting the Markets scene hard again this year…it is an addiction and we can’t stop! !